The architectural & interior design attributes are driven towards reflecting a modern, rustic and industrial view of Montana’s heritage. This view manifests itself in the heritage of materials, wildlife and livestock in an upmarket resort style. Our material palate is mostly natural and abundantly reclaimed and made in Montana where applicable from the outside in. 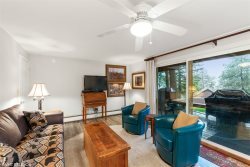 Galleries Suite 204: Is a one Bedroom suite and at five hundred and ninety three square feet of two distinct spaces for living and sleeping it is spacious and accommodating of the traveler who prefers elbow room in the Big Sky Country. Bedroom Space: The King Bed, it’s comfortable enough that you may rethink heading up the Mountain so early. It faces south if you care… but if you don’t it does face the 50” TV and fireplace which is remote controlled for that quick ambiance! 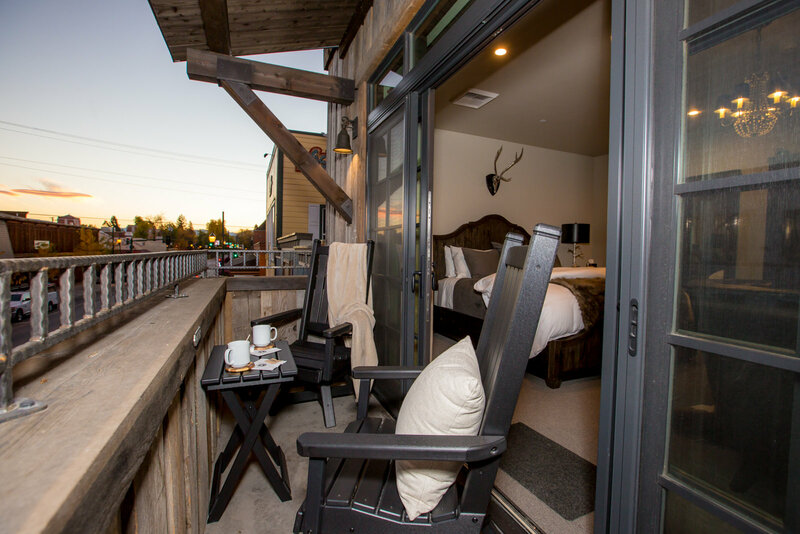 The bedroom Balcony is furnished and faces north, it holds views of the top of The Big Mountain, the hills to the west over the lake and Downtown Whitefish. There are twin built in closets and overhead luggage storage to get the bags off the floor. Private Secure Locker storage for Suite 204 (Lower Lobby Level) accommodates 4-6 pairs of skis or 2 golf bags and the accessories. Common Area Secure Storage: The overflow or large item storage has been anticipated and there is Bellson vertical rack lockable storage for 9 bikes. The club rack will accommodate overflow golf bag storage and the Boards and overflow skis can be secured in the Ski Key lockable rack. The Galleries Upper Level Lobby is a common area for the private use of the Galleries guests. It is a wonderful space to enjoy to sharing the adventures of the day or to take in a warm fireplace conversation or a game of chess. For larger groups booking the Galleries six suites the space becomes a private reception lounge for gatherings and social activities. Common Area Washers & Dryers: Miele brand equipment stands ready to clean the Wranglers or those going to town clothes.